• Mr Williams and Mr Waistell (“the Claimants”) were the owners of two adjoining semi-detached bungalows located in South Wales. • Network Rail owned the land immediately behind the Claimants’ properties. • On an embankment on Network Rail’s land was a large stand of Japanese knotweed. • Claims were brought in private nuisance in 2015 on the basis that the Japanese knotweed had encroached on (invaded) the Claimants’ land and had caused damage to their properties. For those readers who have completed their Diploma, you may have already recognised that based on these facts, the Claimants could have a successful claim in private nuisance. At the heart of the law on private nuisance is the need to show that the defendant has caused unreasonable interference with someone else’s enjoyment of their land. So is Japanese knotweed a nuisance? To answer this question, it helps to understand just how much damage this plant can cause. Knotweed is notorious for its fast growth, through its underground roots or rhizomes. It can block drains, grow between slabs of concrete drives, disrupt brick paving, undermine garden walls, and overwhelm outbuildings and conservatories. It is also difficult (and expensive) to eradicate. b) The Claimants’ ability to sell their properties for a proper market value. Because of this decision, conveyancers will now need to pay even closer attention to the Japanese knotweed section on the Law Society’s TA6 property information form. This form is one that solicitors who adopt the Law Society’s Conveyancing Protocol use. The form has a specific enquiry relating to Japanese knotweed, Enquiry 7.8, which asks whether “the property is affected by Japanese knotweed”. If a property is affected then it goes on to ask if there is a Japanese knotweed management plan in place. 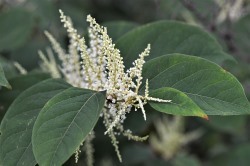 Assuming a buyer’s solicitor is proceeding with care when helping with the property purchase, then the risk of a property being blighted by Japanese knotweed is low. Rather than a nasty surprise for a new owner, a properly managed conveyance will highlight an issue like this long before any contracts are signed.